During your regular dental exams, your dentist will take special care to examine the health and condition of your teeth and gums. In the event that your dentist discovers an oral fibroma on your gums, you may have questions about this oral health condition. An oral fibroma is an irritated section of gum that has become swollen due to excess scar tissue. Read on for a look at what you need to know about your oral fibromas. There are several root causes to oral fibromas. Typically, oral fibromas are seen in patients whose gums experience continued irritation. For this reason, oral fibromas are usually caused by chronic conditions, such as cheek biting, rubbing, or dental prosthesis. Any area of irritation in the mouth could be at risk of developing oral fibromas over time. In order to achieve the best results from your oral fibromas treatment, it is important to catch the condition early. Some of the early signs of oral fibromas include unusual lumps in the mouth, rough surfaces inside the cheeks, and pale or dark patches of cheek and gum tissue. Typically, oral fibromas do not become larger than one centimeter wide. After your dentist has diagnosed your oral fibromas, it is essential to gather information about your treatment options. The only effective way to treat oral fibromas is through surgery. Your dentist may offer laser dentistry procedures that are able to remove the fibromas in a minimally invasive procedure. To book your next dental exam, be sure to get in touch with Glenwood Premier Dental by calling (732) 264-4477. 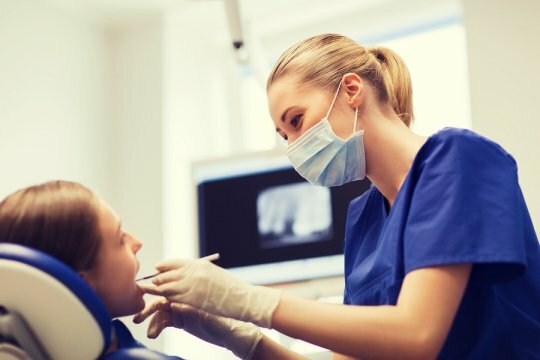 Our laser dentist in Hazlet will be able to safely and effectively remove oral fibromas from your smile, and we can also provide you with restorative care. We look forward to seeing you in our office in the near future. 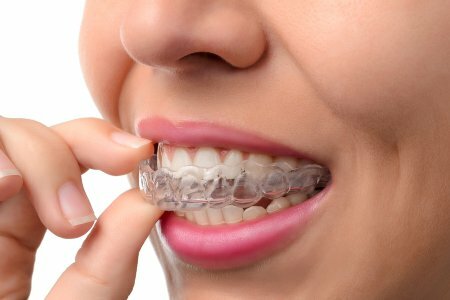 How Often Should Invisalign Aligners Be Worn? The Invisalign system is an innovative and effective orthodontic solution that allows patients to enjoy a straighter smile without the need for traditional metal braces. Invisalign works using clear, custom-fitted aligners, which snap into place in your mouth for comfort and ease of wear. During Invisalign treatment, patients should wear their aligners as often as possible, ideally at least 20 hours per day. Aligners should only be removed to eat, drink, and brush and floss your teeth. Wearing your aligners as directed by your orthodontist will ensure you get the results you want on the original timetable you were given. Patients who wear their aligners less often than directed may still get the same results, but treatment will take much longer. Do you have questions about Invisalign near Hazlet? Dr. Wassef of Glenwood Premier Dental is here to help you understand the benefits of straighter teeth and how Invisalign can help you achieve the smile you want. Please click through our website for more details about our services, including dental exams , cosmetic dentistry, and orthodontics. You can also reach us by phone at (732) 264-4477 to schedule a consultation. 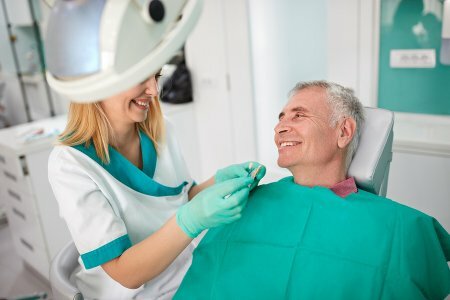 Has Your Dentist Recommended Scaling and Root Planing? Gum disease, also called gingivitis, is a common condition that affects the current and future health of your smile. Scaling and root planing is a treatment your dentist may suggest to halt the progression of gingivitis and reduce the risk of gum recession or tooth loss. This short video explains the scaling and root planing process in more detail. You will learn about the steps your dentist will follow during treatment, as well as hear more about the purpose of this restorative dental solution. At Glenwood Premier Dental, we are dedicated to helping you maintain healthy teeth and gums for life. Our dentists serving Hazlet offer comprehensive dental services that include preventive and restorative care . If you have questions about gum disease, bad breath, or other dental concerns, please visit us online or call (732) 264-4477 to schedule an appointment with an experienced dentist. Dental veneers are a cosmetic dentistry treatment that can transform the look of your smile. Veneers can address a variety of cosmetic and even functional concerns, allowing you to eat, smile, speak, and laugh with confidence. If you’d like to learn more about dental veneers or find out whether they’re right for you, your cosmetic dentist will be happy to help you explore this popular dental treatment. 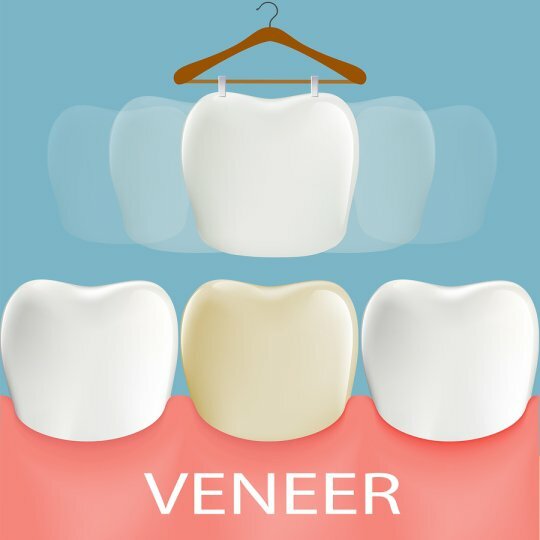 Dental veneers are used to change the shape, size, and color of the teeth visible at the front of your mouth. This dental solution can be used to address a variety of concerns, including chipped, broken, pitted, and discolored teeth. Dental veneers are also an ideal treatment to lengthen teeth that have been worn away by diet or grinding. In some cases, your dentist can even use veneers to give your teeth a straighter appearance, allowing you to achieve the smile you want without orthodontic treatment. Receiving veneers requires 2 trips to your cosmetic dentist’s office. During the first trip, your dentist will remove a thin layer of enamel from each tooth that will receive a veneer. This procedure will be performed with a local anesthetic to ensure your comfort. After the enamel has been removed, your dentist may take images or impressions of your teeth to help with creating veneers that will fit snugly against the surface of your teeth. Your dentist will then place temporary veneers on the prepared teeth while he sends the images and impression to a lab, where your permanent veneers will be manufactured. Once the veneers are ready, you’ll return and your dentist will replace the temporary veneers with your customized and permanent veneers. Dental veneers are one of many cosmetic solutions available to improve the look of your smile. You can find out more about the cosmetic dentistry solutions available from Glenwood Premier Dental by calling (732) 264-4477. We also invite you to visit us online to check out our blog, explore our services, or schedule your next dental exam and teeth cleaning in Hazlet. Tongue-tie is a congenital condition that affects the range of motion of the tongue. In patients with this condition, the tongue is “tied” to the bottom of the mouth by an extra band of tissue, which can affect the ability to eat, speak, and swallow. At Glenwood Premier Dental, our dentists can use Waterlase Dentistry to treat tongue-tie and prevent many of the secondary conditions and concerns it may cause. Tongue-tie occurs when the lingual frenulum, a small fold of tissue beneath the tongue, fails to separate from the bottom of the mouth prior to birth. The causes of this congenital condition are unknown. Symptoms of the condition include difficultly raising the tongue or moving it side to side, trouble sticking out the tongue, and a tongue that appears heart-shaped when raised. Tongue-tie can cause complications that affect an individual’s ability to eat, swallow, or speak naturally. Infants in particular may have trouble eating, especially when breastfeeding. Children with tongue-tie often have difficulty speaking clearly and may suffer from speech impediments associated with a lack of movement in the tongue. In mild cases, tongue-tie may not require treatment at all if the band of tissue does not excessively restrict the tongue or its motion. However, individuals with symptoms that interfere with eating or speaking can benefit from treatment. 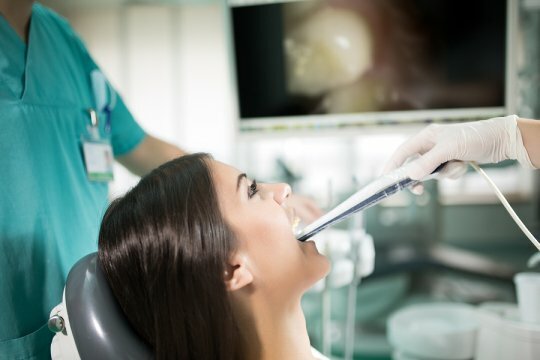 Your dentist can treat tongue-tie using laser dentistry techniques to quickly and cleanly cut the band of tissue holding the tongue in place. This procedure is short, safe, and painless, allowing the tongue to immediately move freely to eliminate the symptoms of and complications associated with tongue-tie. Would you like to learn more about treatment for tongue-tie and laser dentistry near Hazlet? Please call Glenwood Premier Dental at (732) 264-4477 or visit our website to schedule an exam with an experienced dentist on our team. We will be happy to help you explore your short- and long-term dental needs, from dental exams and teeth cleaning to restorative care and implant dentistry. Implant dentistry is often performed in several different stages to ensure that the patient receives a permanent and comfortable result. After your initial implant procedure, your dentist may ask that you schedule a follow-up procedure in six months. During the six-month window, a process called osseointegration will occur. Osseointegration can be literally translated to “bone connection.” After the implants have been put into your jaw, the process of osseointegration will allow them to become a permanent part of your smile. 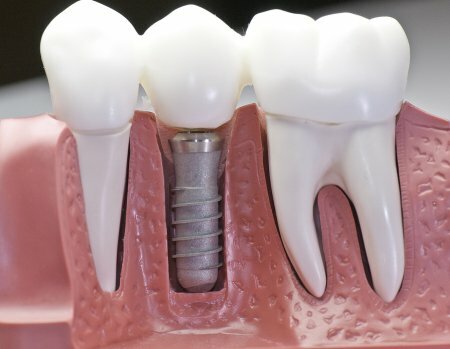 Before your dental implant procedure is completed, your dentist will make sure that osseointegration has taken place. When you are seeking a top rated dentist serving Hazlet, contact Glenwood Premier Dental to learn more about our restorative care services. We are consistently ranked among the best dentists in the area, and Dr. Wassef can provide you with the right services for your smile. Give our office a call at (732) 264-4477 to make your next dental appointment.